c) the thickness of the insulation must meet the requirements of the regulatory documents of the region. and determined by strength calculations. Before installing insulation materials the technical conditions of the building envelope should be inspected. The surface of the building structures should be cleared and leveled, if necessary, the vapour barrier should be installed. Markup installation sites insulation boards using laces, water level, should be run. 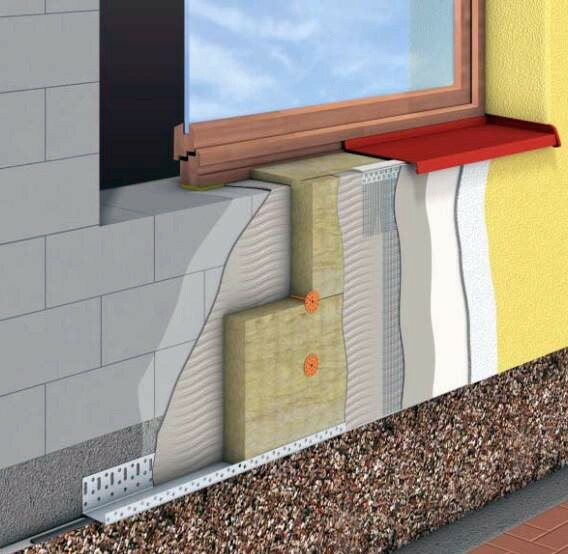 Thermal insulation should be placed on the outer walls of the buildings. Transverse joints of each subsequent layer should be swift against the previously established layer for 0.3 – 0.5 of plate length. Boards should be tightly pressed to each other – no gaps acceptable. Installed insulation boards should be protected from moisture (hitting by the ground or atmospheric moisture).